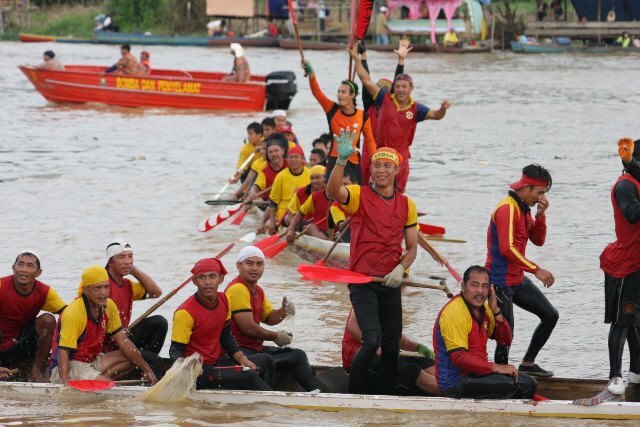 The annual Sarawak Regatta will begin on November 18 to November 20 this year, promising a grand event with participating teams hailing from both government and private sectors, local and abroad, though the most numerous competitors remain the local villages that pepper the banks of the Rajang river. The regattas have a special place in the hearts of local villages of all races, as it dates back to 1872 during the James Brooke era, when it was first introduced with the intention of stopping racial wars among local tribes where headhunting was largely practiced. 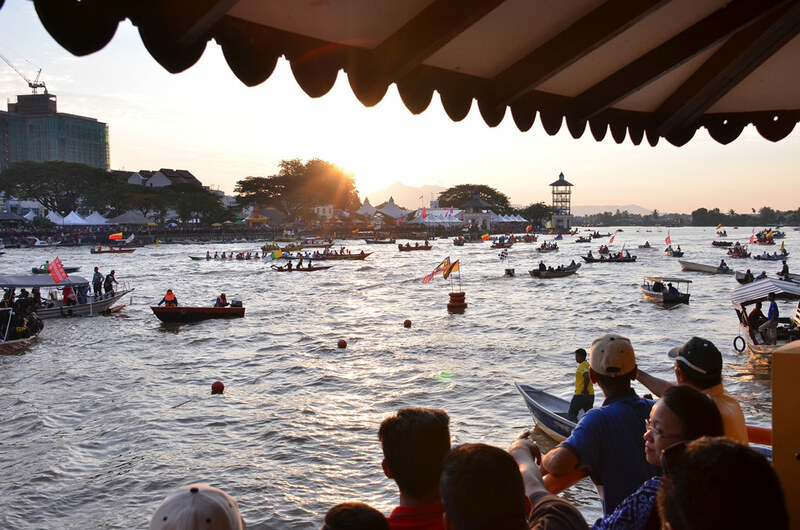 Photo of Sarawak Regatta 2015. Taking place on December 2 to 4 this year, the sixth edition of the Sibu Bike Week has already attracted 200 bike clubs and 2,000 bikers from across the globe. Among them were bikers from Sabah, Sarawak, Brunei and Kalimantan in the Borneo island, Peninsular Malaysia, Germany, Spain, the Philippines, Holland, Australia, Abu Dhabi, Indonesia and Thailand. The event will kick off with a bike and car exhibitions, tattoo shows, as well as the Miss Sibu Bike Week competition and the Ride Sibu Town event. There will also be band, scooter, skateboard and BMX competitions, as well as car drifting shows and slow ride competitions, throughout the course of the event, ending in true Sarawakian fashion with a fireworks show and a karaoke competition. 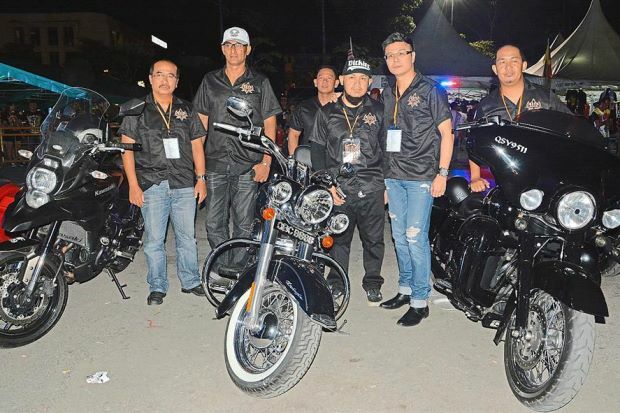 District Police Chief ACP Mohd Kamal (left), Event organiser Abdul Razak Abdul Salam, Sibu Municipal Council deputy chairman Datuk Andrew Wong (second from right) standing in front of three big bikes. Photo credit: Borneo Post Online. Sarawak’s Chief Minister Datuk Patinggi Tan Sri Adenan Satem’s recent open policy towards foreign scientists and institution collaborations for Research and Development in Sarawak’s rainforests has yielded promising results for the future of Nature tourism in Sarawak. In the short time proceeding the open policy, the Sarawak Forestry Corporation have announced the discovery of 12 new plant and animal species in the Totally Protected Areas (TPAs) of Sarawak’s prime rainforests, with encouraging possibilities of more species yet to be found. The Chief Minister has been pressing for a crack-down on illegal logging for the past year, which has resulted in the accelerated gazettement of TPAs and protection of wildlife within the state. With the increase of National Parks and TPAs, as well as the increasing discovery of endemic flora and fauna, the viability and sustainability of Nature tourism within the state are increasing exponentially. Since July this year, 903,769 ha of areas have been gazetted as TPAs that consisted of 35 national parks (694,770 ha), 14 nature reserves (2.539 ha) and six wildlife sanctuaries (206,460 ha), nearing the state’s target of 1.2 million ha as TPAs. 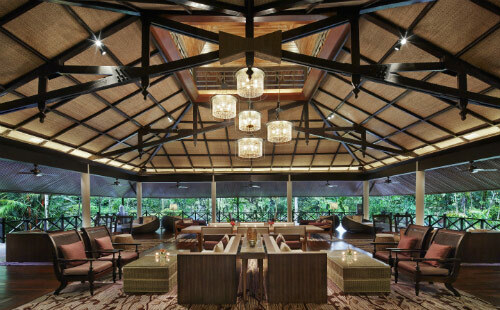 The Mulu Marriott Resort & Spa has become the first rainforest resort in Asia to be awarded the Best of Malaysia Top 5 – Best Resort Experience and Excellence Award by Expatriate Lifestyle. The Resorts that receive this annual award are voted on by Expatriate Lifestyle readers who have experienced the various Resorts for themselves. After recent renovations throughout the resort over the past few years to better the facilities of the chalets, this looks to be a very encouraging and deserved rebound for Mulu Marriott Resort & Spa, and this award will hopefully bounce it back to the forefront of local and international travel markets. The resort boasts 101 rooms and is just minutes away from the Mulu National Park, which is Sarawak’s first UNESCO World Heritage Site with the world’s largest natural cave chamber (Sarawak Chamber), the world’s largest cave passage (Deer Cave), the world’s largest limestone cave system (Gunung Benarat) and the longest cave in Southeast Asia (Clearwater Cave). Mulu Marriott Resort & Spa refurbished lobby. Photo Credit: Expatriate Lifestyle. 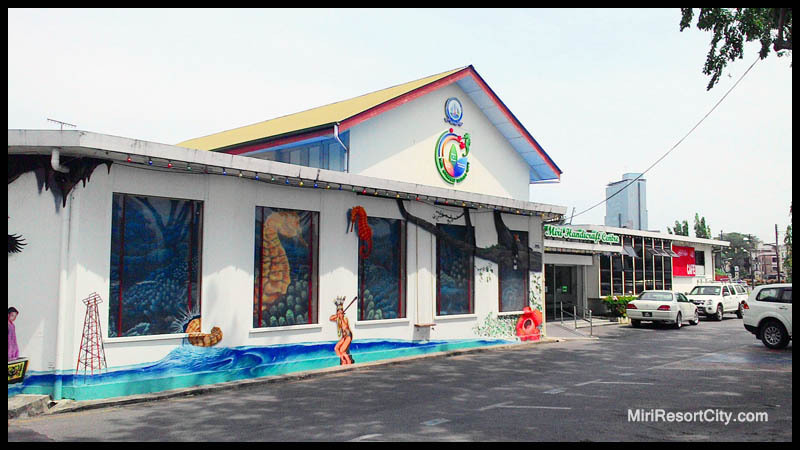 There will be major renovations of the Miri Handicraft Center Building in the City centre of Miri, under the coordination of the Miri City Council. Due to renovations on the main building, all stall owners will be moving temporarily to High Street, located just in front of the Miri Resident Office. The renovations are estimated to be completed in June 2017, wherein all stall owners will be moved back into the premises. 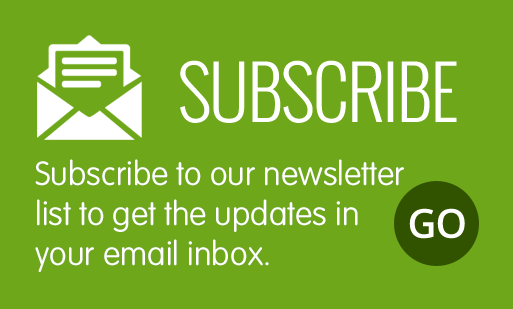 Contact person Mr. Dennis Ng (0168161060). On November 4, 2016 the signing of a memorandum of understanding (MOU) between the Sarawak Tourism Board and Taipei based See Mark Travel Services at the Taipei International Travel Fair took place at the Taiwan World Trade Centre, enabling See mark Travel Services to run charter flights from Taipei to Kuching. The flights begin on January 28th and subsequently on June to August 2017, totalling in 19 flights with one flight every five days. The Chairman of the Board, Datuk Abdul Wahab Aziz signed the MOU and See Mark Travel Services was represented by See Mark’s General Manager, Mr. Mark Chen, while the ceremony was witnessed by the Permanent Secretary to the Ministry of Tourism, Arts and Culture, Datu Ik Pahon Joyik and Mr. Chen Chiang Yang, See Marks’ Sales Manager. Sarawak Deputy Chief Minister and Minister for Tourism, Datuk Amar Abang Haji Johari Tun Openg, who witnessed the exchange of the MOU with his Assistant, Datuk Lee Kim Shin, led a six-member delegation to Taiwan and held discussions with Taiwan’s Far Eastern Airways and Malindo Air on the possibilities of mounting direct schedule flights to Kuching in the near future. 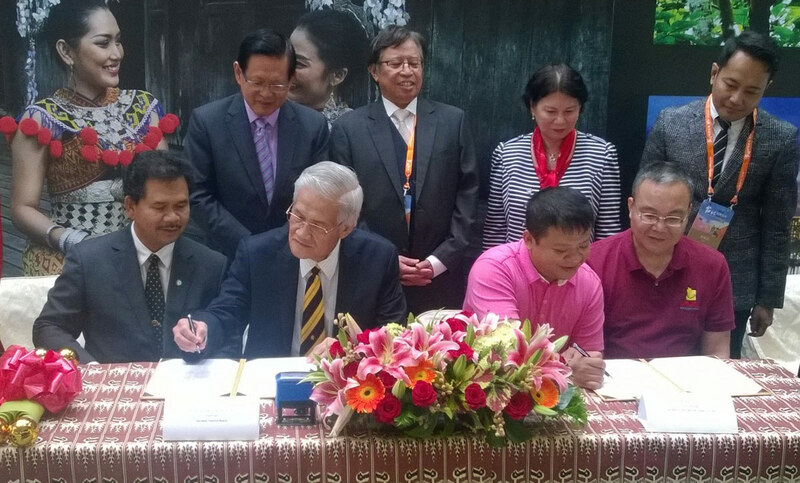 Picture shows Datuk Wahab seated second from left, flanked by Mr. Mark Chen on his left signing the MOU witnessed by Datu Ik seated at left and Mr. Chen (right). Also seen standing from left, Datuk Lee, Datuk Amar Abang Johari, Datuk Adeline and Ahmad Faisal. Sarawak will now be allowing Chinese tourists to pass through the Miri International Airport as well as the Immigration, Customs, Quarantine and Security (ICQS) facility in Sungai Tujuh border to Brunei using a Special Entry Pass, effective immediately. Sarawak’s Deputy Chief Minister Amar Abang Johari Abang Openg has expressed his continued endorsement in the wake of an influx of Chinese tourists to the state and has announced that all ICQS facilities should be equipped with these Special Entry Passes for convenience. The purpose of the passes is to ease the travel of tourists from China throughout the state, as currently Kuching is only entry point to Sarawak equipped with Visa-On-Arrival facilities. These passes are mutually beneficial for Sarawak and Brunei as it coincides with Brunei’s current campaign to attract more tourists from China and tourists can now move easily between Miri and Brunei with little hassle. Sarawak is expecting to see growing arrival and demands for chartered flights to and from China in the wake of these Special Entry Passes, eliminating the tediousness of pre-travel Visa applications. 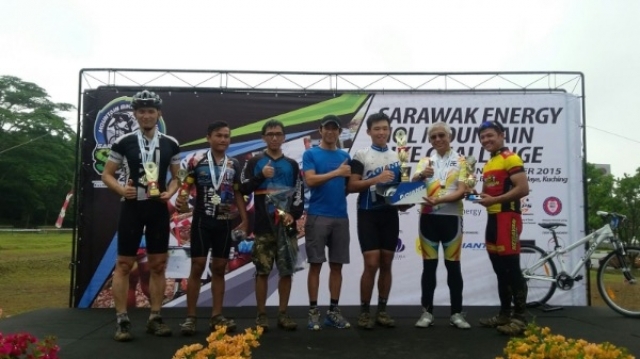 Some 300 local and foreign riders from Japan, Singapore, Brunei, Thailand, Philippines and Kazakhstan will take part in the 2nd Sarawak Energy Siol International MTB Challenge (SIMBC) to be held at Bukit Siol from November 4 to 6, 2016. To be organised by the Kuching North City Council, it offers a RM 78,000.00 worth of prizes for this off road cycling skills featuring the Downhill, Cross Country and Team Relay categories. Saratok located about 310km away from Kuching will be a busy town as it will be having its major event, Saratok Regatta which will be taking place on December 3 to 4 this year. It was formerly known as Sungai Krian Water Festival which was last held in 2014. The Saratok Regatta will have two races for Men’s and Women’s categories. For Men’s categories, it will be divided into 10, 15, 20, 25 and 30 ‘sakai’ (rowers) events and Women’s categories, it will have the 10, 15 and 20 ‘sakai’ events. Aside from the races, the two-day event will include the ‘Battle of the Bands’, Saratok Regatta Beauty Queen, photography, sports (basketball, sepak takraw and football) matches, sales of local food and handicraft and many more. “This will be a major event for the town, where we expect thousands of people of all races to converge at the town square” according the Datuk Abdul Wahab Aziz, Chairman of Sarawak Tourism Board. Interested participants may obtain the registration forms for the regatta from the Saratok District Council Office with minimal charges of participation fees ranging between RM30.00 and RM200.00. The Malaysia Airlines direct Kuching – Penang –Kuching direct flight will be reinstated on November 18 and will continue until December 31. According to Malaysia Airlines, further extension will be considered to cater for the Chinese New year. It will be times weekly flight on Monday, Thursday, Friday and Saturday and will depart at 9.20 am and is expected to arrive in Penang at 11. 30 am. The return flight from Penang is at 12.05 noon arriving Kuching at 3.00 pm. The current the promotional fare is RM 150.00 per one way inclusive of taxes.